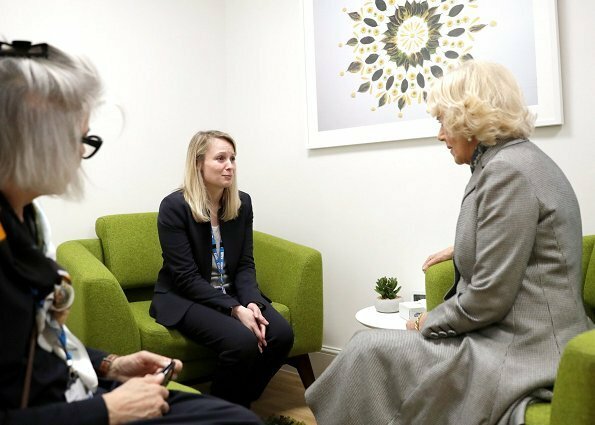 On January 25, 2018, Duchess Camilla of Cornwalll visited the Children and Young People's Havens at Camberwell Haven to learn about the centre's specialised work to support underage victims of sexual abuse and their families in London. 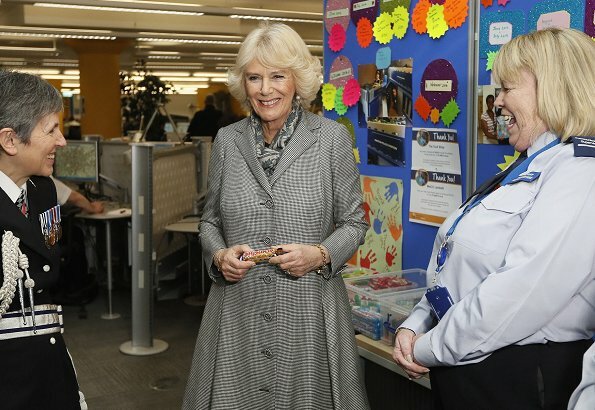 Then, Duchess visited the Metropolitan Police Service Base in London. 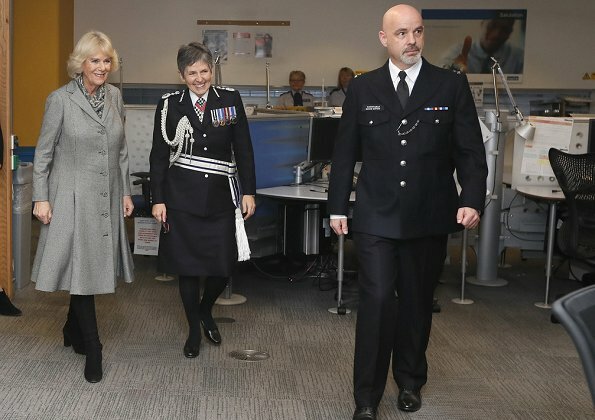 On January 25, 2018, Duchess Camilla of Cornwall visited the Metropolitan Police Service Base to learn about TecSOS, a technological innovation used to protect victims of domestic violence in London, England. 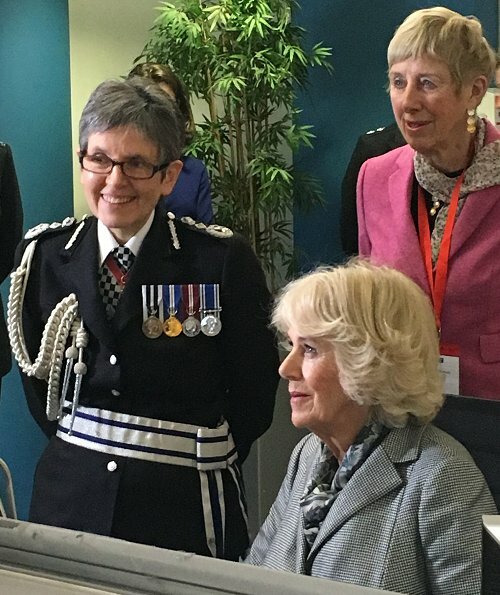 TecSOS is a mobile solution that provides immediate connection to the Police at the touch of a button 24/7. 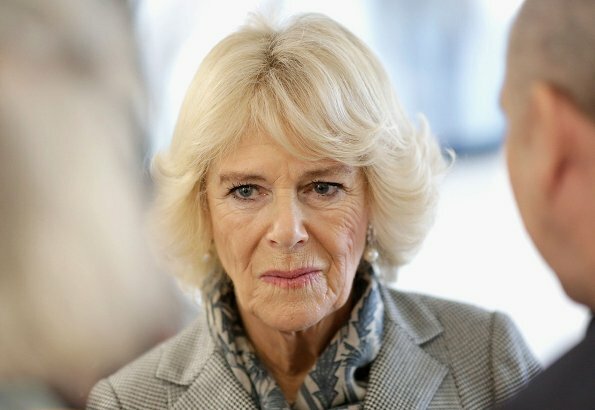 She sure has access to good tailors who can make a matronly figure look very nice. Faithful to her signature style. I like the soft grey and the boots. The print like that is never good for pictures and videos, but the dress suits her very well and is well fitted. That is true, it is just mesh and makes just headache for watchers. 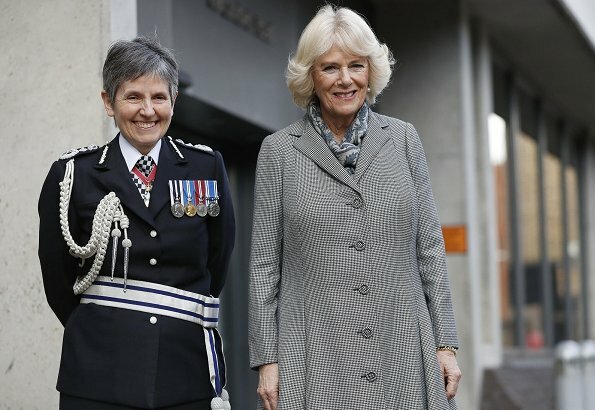 Girls can look very good in uniform and they frequently do. The lovely policewoman shows that a modern and practical haircut and a bright smile ads cuteness point to your look. Well done, officer. 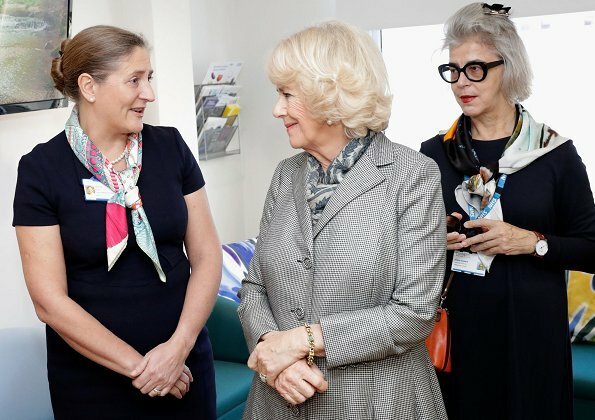 IMO the shape and the colour of the coat aren't becoming for her. So think I, this coat is not a good cut at all. A good tailor would also know that this print does not work on photos. And I would love to see another hairstyle on her from time to time.